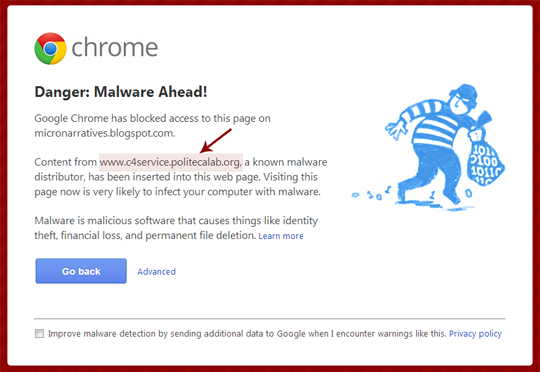 How to Remove Malware Warnings from Your Blogger Blog. Does your blogger site inject with some sorts of malicious code? Are you facing weird notifications like “Danger Malware ahead” whenever you are trying to access your website? If yes then, your website is probably serving malicious codes. In this scenario, you should quickly scan your site for any kind of virus. If you are also looking for a way of getting your site clean from any kind of malicious code or virus then, you have landed to the right place. Today in this article, we will show you How to Remove Malware codes from Your Blogger blog. It is a kind of software that tries to damage your computer, and computing systems. Malware or malicious software is planned to secretly access a computer device without even informing the computer owner. The main intention of this software is to harm other computers and perform such actions which can damage data or disrupt systems. Due to these high security risks, few corporate companies rely on cloud computing, which helps them to secure their confidential data from any kind of malicious injection. How to Remove Malware from Your Blogger Site? To remove a suspicious code from your site, you have to identify which code or script is causing the problem. While access your site through Google Chrome browser, you may have seen a warning message like “Attention Malware detected”. This warning message helps you in knowing the problem. Take a look at the following screenshot which says that this site may harm your computer. If you go in depth, you would be able to see something like this, “Your site example.com contains some malware injection from example.com which is a known malware distributor”. Sounds fishy huh? It means that example.blogspot.com is causing the problem because it is a known malware distributor and you have linked it on your site. The solution to this problem is a lot simpler than it looks you just need to remove that link from your site and everything would be back to normal. Go to Blogger.com >> Template >> Edit HTML >> Search for the URL of those websites which are causing the problem and just removed them from your coding. Once everything is done, press the Save Template button to finish the process. Congratulations: Now Chrome would not display warning messages to you or your visitors. According to the estimated, daily thousands of websites gets compromised and you could be the next one. Therefore, it is essential to take all safety precautions before it gets too late. Since, Blogger is in the cloud so it cannot be hacked, but this does not mean it cannot be injected from malware. Thus, always download templates from reliable designers and sources. Furthermore, make a habit of scanning the templates before you apply them onto your site. We hope this article has helped you in understanding how you can remove malware from your site. What are your thoughts and views about malware injection and detention, whether it is threatening or not? Share your views by commenting below. Nice way to keep your blog from unauthorized hacking & danger antivirus. well faizan we like thats post really nice. Faizan Bro i am using internal links goes here like this. So am i doing rights. Because i have seen many bloggers which only give links & bold thats lines. But i have created special css for these h7 tag. I am using this so that it can looks eye catchy. So any issue for robots. with h7 tag using for internals links inside posts. We're pleased that you liked it. Firstly, the above screenshots are of MY blog and you did not ask to use this as an example. You tried to remove the name from the first image but left it in the other. Secondly, I followed your instructions but there is no mention of the offending URL in the html for my blog. We didn't knew that it was your blog, as we just got it by googling. As per removing the malware you need to remove this URL as show in the image below. Go to Blogger >> Template >> and search, and remove it. I followed your steps.But did not find the URL of malware distributor.How to fix it ? Can you provide your blog URL so we can help you to fix that out? I have cleaned my site but i still see that (Warning) dangerius malware in my web browser? How I can remove that? Thank you so much, I just cleaned my blog from malware. Your post very very helpfull for me. Before I felt hopeless how to clean it. Thanks again, sir. Its very needful information. More then few days i faced some problem of my computer. Now i am so glad to see this post. I have some malware on my blog (www.antiplictis.blogspot.ro) discovered via Sucuri, but i have no idea how to fix it, given that chrome says nothing when i access my blog. can you help me somehow? Can you please provide your blog URL? Here's the details why your page shows malware warning. Always download templates from trusted sites. To scan, you need to check each codes by yourself, or hire a developer to do this job for you. How can we remove the redirecting and secret codes or malicious content from the ready free templates? Is there a way to find this dangerous content in free blogger templates? Malicious content is something that affects your site in a bad way. We our self develop templates and redirecting codes doesn't affect your site. However, still you want to remove them? Then the best way is to contact the template developer/designer and communicate to resolve the issue. I usually remove malware threats through the use of ESET Antivirus.